Restaurant critics Roslyn Grundy, Gemima Cody, Ardyn Bernoth, & Myffy Rigby at 2019 Good Food Guide Awards. Photo by Kristoffer Paulsen. Roslyn Grundy, Victorian editor of Fairfax Media’s Good Food Guide, used to laugh at the idea that restaurant kitchens pinned mugshots of food reviewers like her on their walls – until someone sent her the evidence. Stakes are high for restaurants vying for a place in Australia’s unofficial food bible, where chef’s hats (awarded to restaurants scoring 15 out of 20 and more) could mean thousands in revenue. 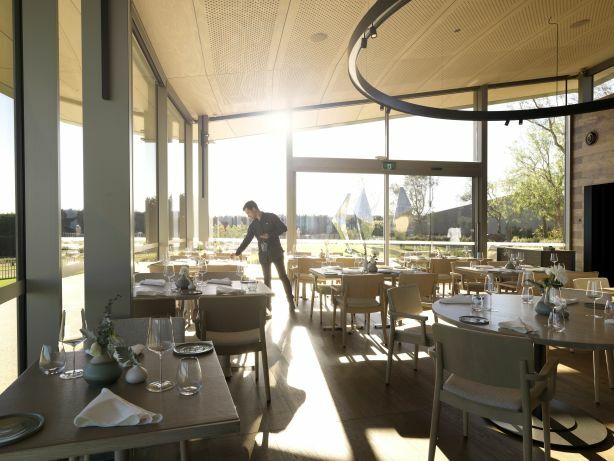 “Some restaurants have actually not survived [losing a hat] and yet others have bounced back better than ever,” says 2019 chef of the year, Peter Gilmore, whose Sydney restaurant Quay has won three hats 17 years in a row. But, who makes all those decisions about hats, scores and awards? How do they get made, and where is dining headed? December is when national guide editor Myffy Rigby and her team in Sydney and Melbourne start thinking seriously about the next edition. The “online brain” (a Google spreadsheet) is updated with restaurants that opened or shut since the previous issue went to press. January marks the beginning of the reviewing season, when a team of reviewers (59, at last count – a mix of Fairfax journalists, long-time restaurant critics and other food enthusiasts) fan out across the land, booking under assumed names and nearly always a table for two (a companion makes for more fun and less suspicion). These days, smartphones allow reviewers to take occasional discreet notes and images but reviewing used to be more cloak and dagger, with notes scrawled furiously in toilet cubicles. Each reviewer is equipped with a handbook, instructing them on everything from how to order (look for indicative dishes rather than one-off specials) to what to do if their cover is blown (watch how surrounding tables are treated). Restaurants are marked out of 20: 10 for food, 5 for service, 3 for atmosphere and 2 for “X-factor”. In July, the last of 500-odd reviews are filed and edited by Rigby before the looming print deadline in late July-early August. At only 160 words the reviews must be snappy, useful, factually correct, and entertaining. Cliches are not on the menu (the odd pun is tolerated), and Rigby shoots to kill anything on her growing (and amusing) banned words list, which includes “mouth-watering”, “crispy” (“crisp” is ok) and “funky” (“a room is not funky, but dry roasted shrimp paste can be,” the list explains). July is also when the senior review team – Grundy, Gemima Cody and Ardyn Bernoth in Melbourne and Rigby, Callan Boys, Terry Durack and Jill Dupleix in Sydney – meets via video conference to thrash out any contentious scores (particularly those that have changed from previous years), along with finalising chef’s hats. Another meeting held a few weeks later dishes out the awards. Meetings can last up to seven hours. Laura, Point Leo Estate, mushroom dish. Photo: Kristoffer Paulsen. 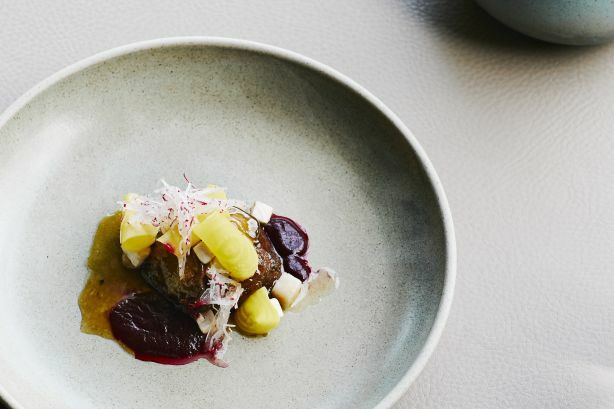 Senior reviewers went interstate this year in a move designed to deploy fresh tastebuds to the established Sydney and Melbourne dining scenes and to encourage consistency across the country. 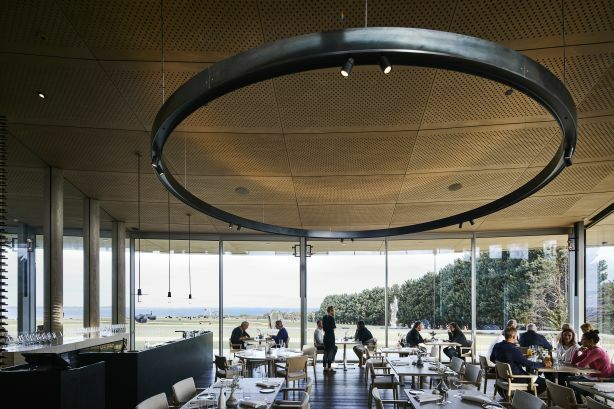 On top of her regular reviews Age restaurant critic Gemima Cody ate her way through Tasmania, Byron Bay, Noosa and Brisbane, visiting 30 restaurants in 19 days. Such concentrated eating can take a toll on reviewers’ bodies, she says, only half-joking that at times she would “crawl in through the door, lie face-down weeping in a corner, not wanting to talk to anyone”. Such extensive reviewing also provides a snapshot of dining trends. Cody reports that money has been a key, with serious dollars invested in some restaurants (Point Leo Estate) and plenty of diners willing to fork out for whole stuffed crabs, caviar and expensive wagyu. Meanwhile, there’s been an explosion of “peasant food”, with dishes such as cacio e pepe (pasta, cheese and pepper) popular on menus. 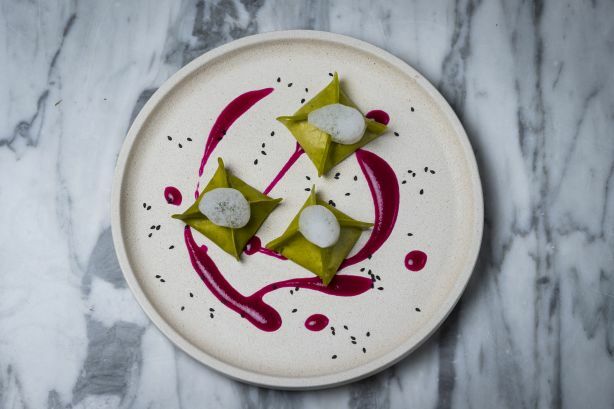 Terry Durack has noticed chefs ageing whole fish (Saint Peter and Momofuku Seiobo), sea urchin (on toasties, house-made crumpets, pasta and more) and the further rise of vegan and vegetarian cooking (Smith and Daughters in Melbourne and Alibi in Sydney). For now, though, the Guide’s reviewers can rest until January swings around again. Or, even better, maybe it’s time to sign up to that jazz aerobics class they’ve always been talking about. This story was originally published in Domain Review on 24 October 2018.